Xiaomi has released model Mi 5S in China, which is an upgraded version of Mi 5 launched earlier this year. The most notable changes are the fingerprint scanner in cooperation with Qualcomm and the improved cameras. In addition, the larger Plus version sports a dual rear camera. The successor to the popular phone Xiaomi Mi 5 is here. The 5S series has the potential to become a bestseller among price-conscious consumers and Xiaomi fans. Image source: Xiaomi. Mi 5S phone. Xiaomi Mi 5S has a 5.15-inch full-HD screen. It’s powered by a quad-core 821 Snapdragon processor that utilises either 3 GB or 4 GB of RAM memory depending on the model. The 12 MP camera is ultra light sensitive due to Sony’s new IMX378 CMOS sensor that utilises 1.55µm pixels. The camera records in 4Kformat. Mi 5S’s fingerprint sensor is the first phone that incorporates Qualcomm’s ultrasonic fingerprint scanning technology. It utilises Sense-ID, which works through the glass of the screen. Hence, a separate area for the scanner isn’t needed anymore. How cool is this? The 5.7-inch Plus version also employs the same processor as Mi 5S, but with either 4 GB or 6 GB of memory. It lacks the fingerprint scanner for some reason, which might cause some consumers to opt for the smaller 5S version. However, the dual rear camera is only available on the Xiaomi Mi 5S Plus version. The two 13 MP cameras have the same resolution and focal length and co-operate to optimise the image quality. One of the cameras captures colour while the other one black and white. 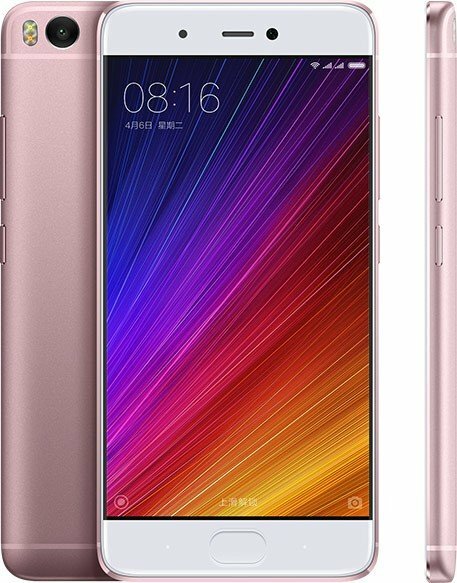 The 3 GB RAM version of Mi 5S with 64 GB storage retails for 1,999 CNY, which corresponds to NZ$472 inclusive of GST. The more powerful 4 GB model with 128 GB storage costs about NZ$150 more. The price of the Plus version with 4 GB of RAM and 64 GB storage is NZ$542. Xiaomi hasn’t announced a release date for the NZ market yet.